In this turorial we will setup a Sodaq One with The Things Network (TTN) and publish the data on the cayenne dashboard from mydevices. Make an account and login. Application ID, a name or number to identify your application. Within this application you can add your device. Copy the DevEUI to the website, and press Register. 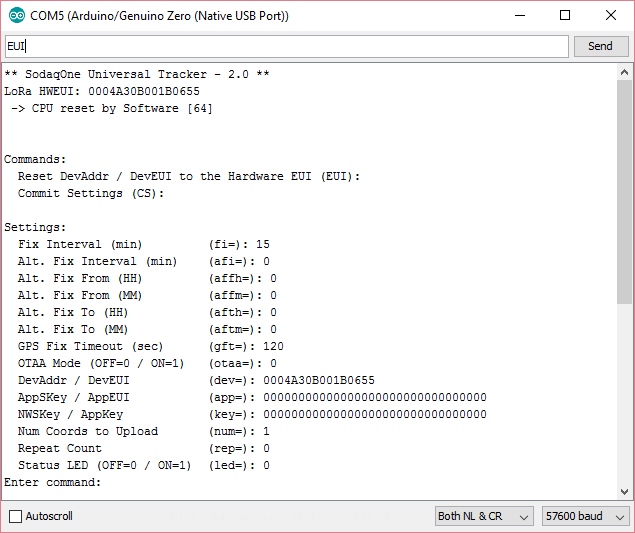 Copy the App EUI and App key to the SODAQ one. And change enable OTAA (otaa=1). The payload is hexadecimal and not readable for a human. 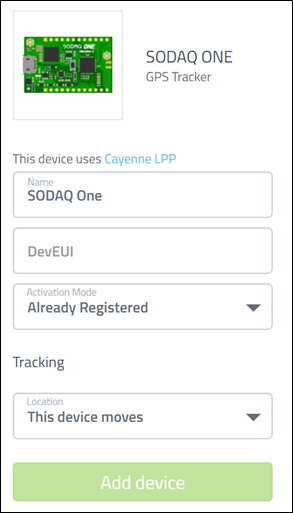 Cayenne from myDevices is free to use platform to view your data. 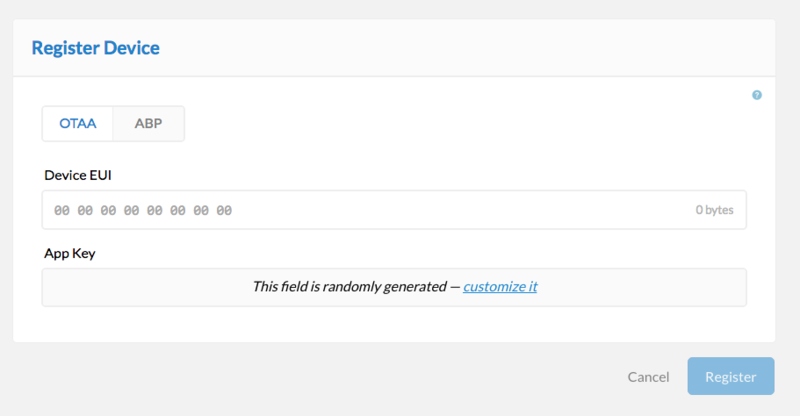 3 steps to send data from TTN to Cayenne. Enable Cayenne on he Sodaq One. Make a connection from TTN to Cayenne. Add your device in Cayenne. Go to the tab “Integrations”. Create a new Cayenne integration. 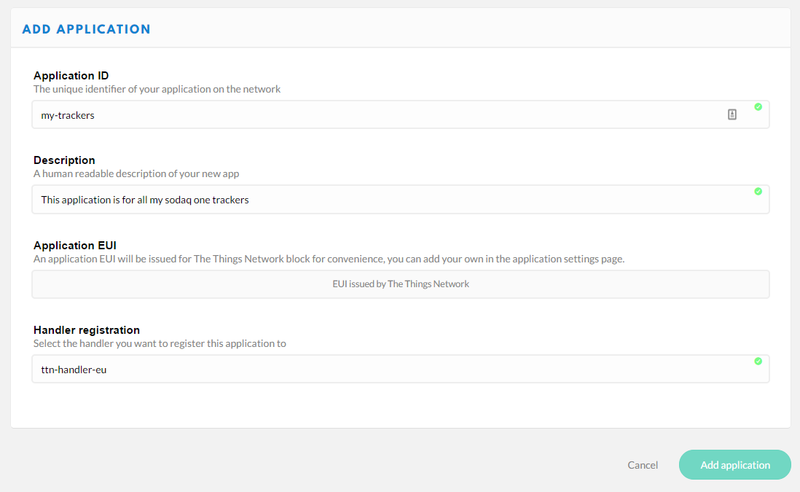 Scroll down to The Things Network. Select Sodaq One from the list. Fill in your “DevEUI” and press Add device. You are now finished, when a message is send Cayenne knows how to decode the messages and will automaticly generate a graphical presentaion. After this, the payload is presented graphically friendly and the names of the different input scan be changed. The picture below shows an example of input data.